In AD 793 Norse warriors struck the English isle of Lindisfarne and laid waste to it. Wave after wave of Norse ‘sea-wolves’ followed in search of plunder, land, or a glorious death in battle. Much of the British Isles fell before their swords, and the continental capitals of Paris and Aachen were sacked in turn. Turning east, they swept down the uncharted rivers of central Europe, captured Kiev and clashed with mighty Constantinople, the capital of the Byzantine Empire. But there is more to the Viking story than brute force. They were makers of law - the term itself comes from an Old Norse word - and they introduced a novel form of trial by jury to England. They were also sophisticated merchants and explorers who settled Iceland, founded Dublin, and established a trading network that stretched from Baghdad to the coast of North America. 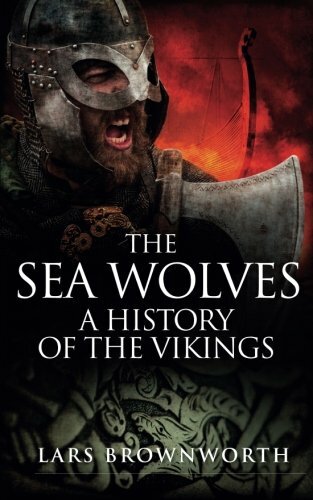 In The Sea Wolves, Lars Brownworth brings to life this extraordinary Norse world of epic poets, heroes, and travellers through the stories of the great Viking figures. Among others, Leif the Lucky who discovered a new world, Ragnar Lodbrok the scourge of France, Eric Bloodaxe who ruled in York, and the crafty Harald Hardrada illuminate the saga of the Viking age - a time which “has passed away, and grown dark under the cover of night”.